Psst: It's Australia Week on Southern In-Law! Happy Australia Day! Even though it feels like it's been Australia Day here all week on the blog, it's finally the actual day. We're keeping it low key by heading to church this morning and then having a barbeque with family. But onto today's recipe - and the final recipe for Australia Week! It seems that many of you loved our Healthy Homemade Chocolates last week - and there's no wondering why, because they're absolutely delish! 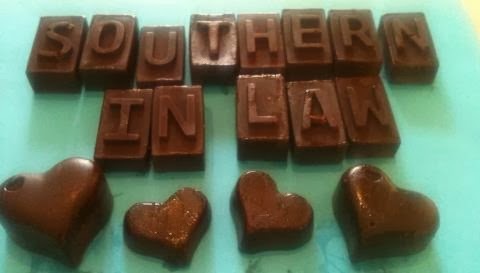 Penny even made some Southern In-Law chocolates which were super cute! I was just about to whip up another batch for us - when a new idea struck! In the spirit of Australia Day (and Australia Week on the blog!) 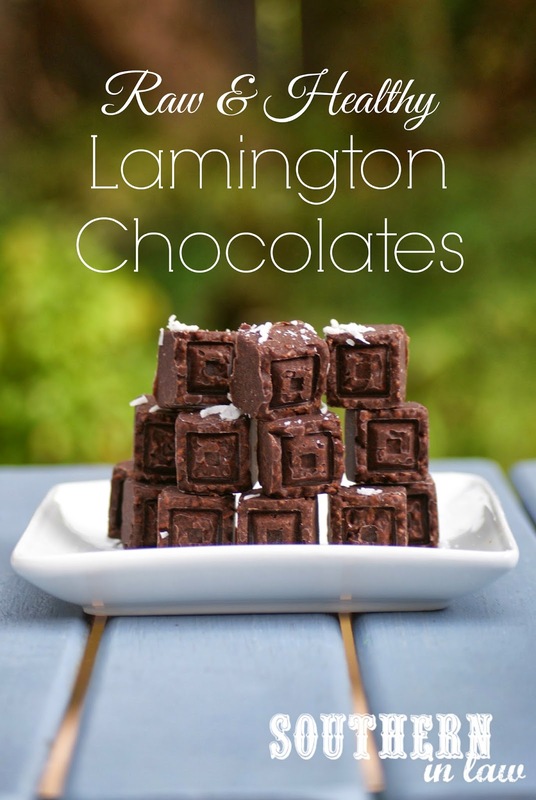 I decided to try my hand at making some lamington chocolates - and they were a HUGE success! 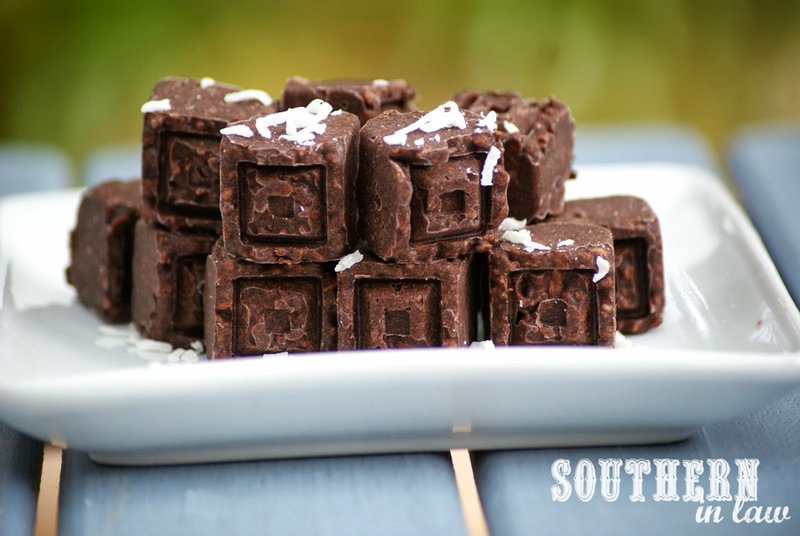 These are a little bit softer than the original recipe and a little bit sweeter for those who don't like rich dark chocolate - but they're delicious nonetheless! We have had so much fun with Australia week on the blog that we're even thinking about other "weeks" we could do throughout the year. Every single recipe this week has been loved by the whole family and many of them I know will be making regular appearances. Get out some chocolate moulds or a small loaf tin, lined with baking paper. Pour into your chocolate moulds and set in the fridge or freezer until firm. Carefully pop the chocolates out of your moulds. But tell me, what's your favourite chocolate addition? I'm definitely a mint chocolate girl - but then again, I kinda sorta love chocolate regardless :P The only thing I'm not really a fan off is too many big chunky nut pieces!